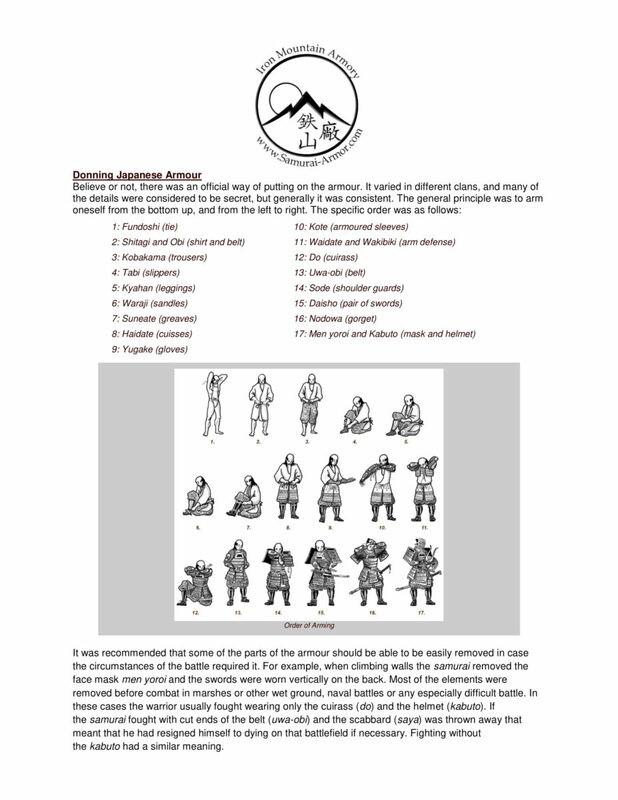 Below is a guide showing you how to properly put on and wear a full samurai yoroi (suit of armor). Samurai Armor is modular in nature, and should be put on in steps, as highlighted in the guide. Click here for a guide on Displaying Samurai Armor on a Yoroi Bitsu.